Our 3 ½” scoop with ember carved flat panel, finished in drifted elephant hide accented by 22k gold lip. Do you need a custom wooden frame? Allow our craftsmen to fabricate from your drawings with a wide range of solid and engineered wood. We will create a custom picture frame or custom mirror frame from hand-crafted wood using time honored techniques adapted to each design. From traditional to contemporary styles our custom wood frame collections are diverse in their ability to suit any needs. Customize our specially milled profiles with added flourishes. Hand carved wood or applied decorative elements allow one to recreate period reproductions. 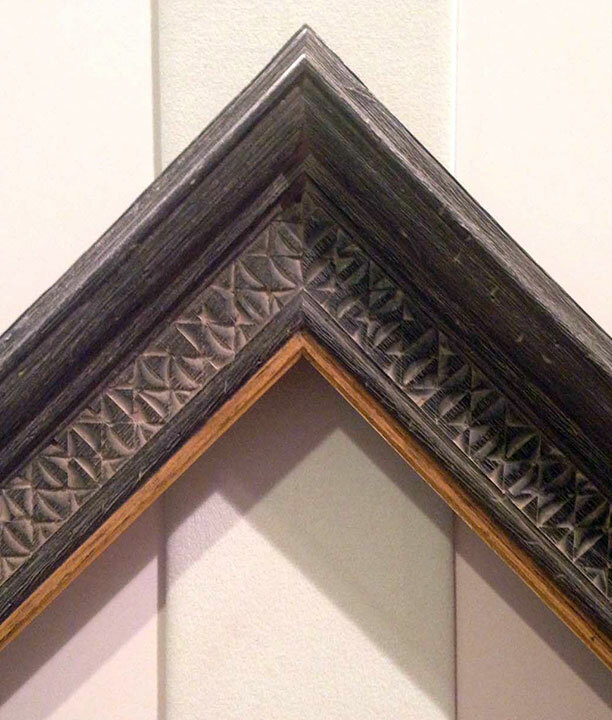 Create contemporary frames with our clean, understated profiles in wood or metal.